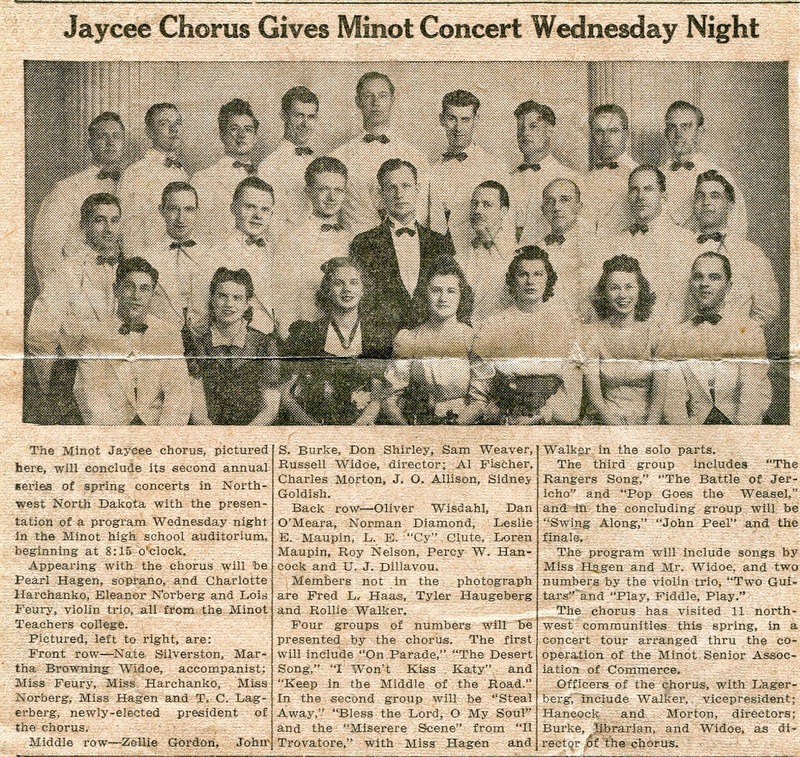 At one time in Minot there was a very active Jaycee organization.. in the 1940’s the organization had a men’s chorale group. This group did a number of concerts. Some included guest performers from the Minot State Teachers College. 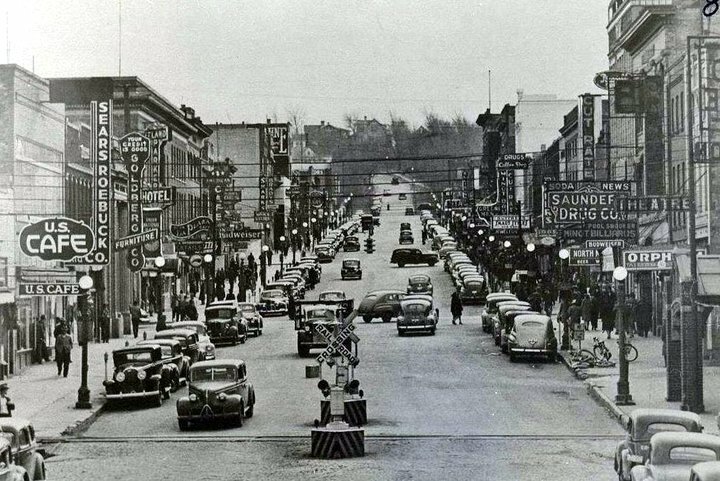 Some of the members who’s names may be familiar are: Don Shirley, Zollie Gordon, Norman Diamond, Leslie Maupin, Ty Haugeberg. Also in the group were L.E.Clute and Russel Widoe as conductor.